ALBANY – Stephen S. Rudzinski, 92, of Albany, died Sunday, March 18, 2012 at St. Peter’s Hospital. Mr. Rudzinski was born in Schenectady, but lived in Albany most of his life. He served in the U.S. Army during World War II, and was employed for many years by the A&P Grocery Stores in several area locations, retiring from the East Greenbush store. 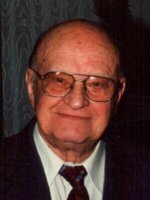 Mr. Rudzinski was a member and Past Commander of the Joseph E. Zaloga Post #1520 of the American Legion; and was a communicant of All Saints Catholic Church in Albany, and the former St. Margaret Mary’s Church where he served as a Eucharistic Minister. He was a member for many years and was the oldest living member of the Polish Community Center in Albany, where he had served as a bingo caller. He also was a dedicated fan of Derek Jeter and the New York Yankees. He loved fishing, hunting with his faithful beagles, and camping with his family at Thompson’s Lake. Steve will be forever remembered for his quick wit and unique sense of humor. Mr. Rudzinski is survived by his beloved wife Bernice A. Murack Rudzinski; his children Stephen S. Rudzinski, Jr. of Santa Cruz, CA, Timothy F. Rudzinski (Cathy) of Westerlo, Paul T. Rudzinski (Barbara) of Colonie, Teresa Allison (Donald) of Rensselaer, and Karen M. Casey (James) of Slingerlands; and by six grandchildren and three great grandchildren. He was predeceased by his sisters Irene Krolak and Natalie Rudzinski; and his brothers Marion “Pinky” Rudinski and Edwin Rudzinski. Funeral services will be held in the Hans Funeral Home, 1088 Western Ave., Albany, Friday morning at 8:15, and from there to All Saints Catholic Church, Homestead Street, Albany at 9:00. Relatives and friends are invited, and may call at the funeral home Thursday from 4-7:30 p.m. Entombment will be in Evergreen Memorial Park, Colonie. The family suggests contributions to VA Hospital Home-Based Primary Care Team Patient Support Fund, Attn: Dr. Linda Weiss, 113 Holland Ave., Albany, NY 12208. To leave a message of condolence for the family, send a sympathy card, or obtain directions to the funeral home, please visit www.HansFuneralHome.com. I am sure none of Steve’s family will recognize my name. I have fond memories of working with him at the East Greenbush A & P many years ago. He was a great guy. My condolences to all of his family and friends. So sorry to hear of the loss of your dad. I have fond memories of him while we grew up together. Cherish them always. He will always be with you in spirit. Let me know if there is anything I can do for you.